This has been a great year box-officewise for Star Cinema as they produced five out of six films that grossed over 100 Million Pesos in the local box-office. On the last quarter of the year, the film outfit of ABS-CBN is about to assert its dominance even more with this powerhouse drama featuring John Lloyd Cruz, Richard Gomez and Gretchen Barretto. While Star Cinema has always capitalized on the guaranteed market for comedy and romance, they have also had great success in drama with The Mistress. The film came out on top of the 2012 box-office list. 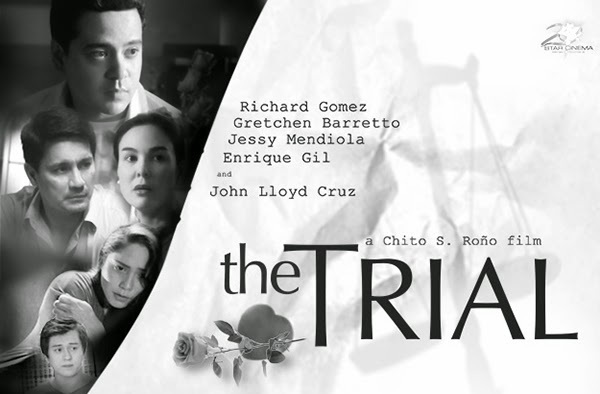 The Trial is set to be released in cinemas nationwide on October 15, 2014.